The first International Championship of the 2019 season is finally upon us with all of the action kicking off this weekend in Sao Paulo, Brazil. This event will be huge for players looking to make their way to Washington D.C. next summer for the 2019 World Championships; this will also be our first look at high-level, international competition this season. This is the first time another region has hosted the first International Championships of the season, and Latin America certainly has a lot to prove after Paul Ruiz’s big win at the 2018 World Championships. The event will be streamed courtesy of Pokemon’s official Twitch channel, and it is a tournament that spectators will not want to miss. If you’re interested in catching all of the action in Sao Paulo, we’ve got a guide with everything you need to know. The stream will start Friday November 16 at approximately 2:45 a.m. PST and will last until about 1 p.m. PST. On Sunday the stream will go until all of the finals matches have been completed. Looks like the Western Hemisphere will have to be up bright and early for this one, but those across the Atlantic Ocean should have no problem catching the stream either early in the afternoon or later in the day. The four commentators making the trip down to Brazil will be Aaron “Cybertron” Zheng (recent member of Panda Global), Markus “13Yoshi37” Stadter, Labhoasia “Louthepikachu” Cromie and Lee “Osirus” Provost. Viewers and fans of competitive Pokemon should easily recognize these folks either from previous tournaments or from each caster’s presence in the content creation community. Zheng and Provost have quite a big following on their respective YouTube channels, while Cromie has appeared in Pokemon videos for Nintendo’s official UK channel. After being largely absent from the scene this past season, Markus Stadter will be making his return to the commentary booth. Stadter was (and probably still is) one of Europe’s best players, but even if he’s not competing, the community is glad to have him back. The restricted pair of Kyogre and Xerneas has been on quite the hot streak after claiming yet another major tournament win at the Lille Special Event thanks to Ismael Aarab Umpierrez. Kyogre and Xerneas are by far two of the best Pokemon in VGC right now, but those two being paired with Tornadus has created one of the format’s most threatening teams. Tornadus has proven to be the X factor for this duo’s success as its blend of favorable offensive coverage with Hurricane and brilliant support with Prankster Tailwind and Taunt make it almost too easy to sweep with either of these two powerful monsters. It’ll be interesting to see whether or not the metagame adapts to take down this team or if players will continue to capitalize on its immense success. Lunala is a Pokemon picking up a lot of popularity right now as it has been consistently making its way into major tournament top cuts. Lunala boasts both big damage with its signature attack Moongeist Beam and supportive capabilities with moves like Trick Room, Tailwind and Roar. This powerful legendary Pokemon can also work well and play different roles depending on which restricted Pokemon it’s paired with. Lately, a bulkier more supportive variant paired with Kyogre has been picking up usage, and that’s likely the one we’ll see most in Sao Paulo. Taking a look at the Latin American metagame more specifically, a not-so-common pair that could do well is Yveltal and Solgaleo. Teams based around these two appeared four times in the Top 16 of the most recent Special Event in Chile. This unique combination looks to capitalize on being a synergistic combo that also does well against the Xerneas and Lunala-dominated metagame. Yveltal in general seems to be a popular choice for Latin American players, so perhaps this Pokemon is ready to steal the spotlight away from its Fairy-type version counterpart. According to players around the community, registration is currently around 36% full for Pokemon VGC. While this is nearly double what it was at about a month ago, an event of this size should be at least close to capacity a week before. Assuming that the cap is similar to what it was last year (256 players), that would mean only about 90 players are confirmed to compete, and that could have some serious implications. Not reaching 100 players would mean that this International Championships tournament would be the first to have just seven rounds of Swiss. This would also mean that Championship Points would only be awarded to Top 16, and prize money would only be given to the Top 8 with the International Champion winning less prize money overall. Now, you’re up to speed with everything going on this weekend at the 2019 Latin America International Championships. 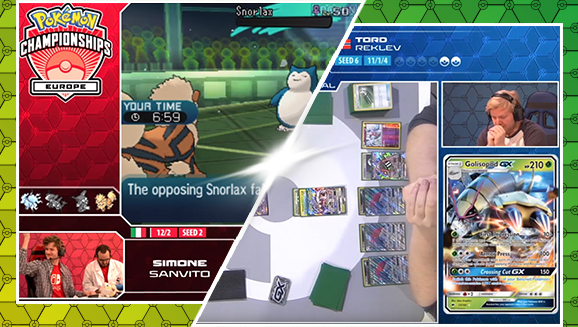 Be sure to catch all of the action on Pokemon’s trifecta of Twitch channels as players from across the world look to become the first International Champion of the 2019 season!